An unsigned article appeared in the Wall Street Journal on February 28, 2010, entitled “A Tale of Two Quakes,” which sought to compare the devastating earthquakes that struck the countries of Chile and Haiti that year. Indeed, the Chilean earthquake was more powerful than the Haitian earthquake, and yet the death toll in Haiti was magnitudes higher, placed in the hundreds of thousands. The article took the opportunity to praise the economic policies of former Chilean dictator Augusto Pinochet in no uncertain terms, giving them the credit for saving Chilean lives. “Chile has benefited enormously in recent decades,” the editorial claimed, “from the free-market reforms it passed in the 1970s under dictator Augusto Pinochet” (“Wall Street Journal”). This editorial spoke of the much greater destruction visited upon Haiti and compared it with the relatively less damage inflicted on Chile, citing Pinochet’s free market economic policies as the source of the country’s preparedness. 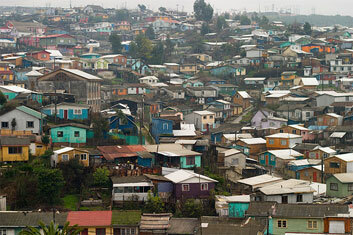 Although Chile's economy is booming, 18.7 percent of the population still lives below the poverty line. 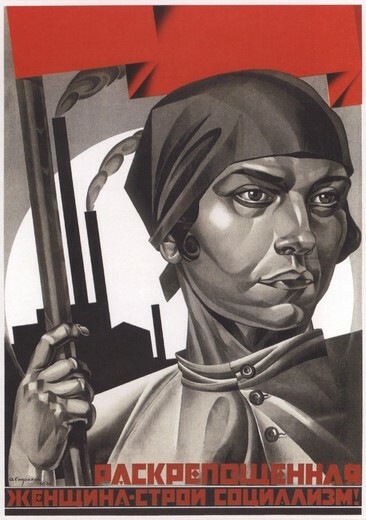 Even putting aside the very different historical developments of Chile and Haiti, and even dismissing the inherent absurdity of comparing an independent country like Chile to an underdeveloped neo-colonial country like Haiti, this assessment of the Chilean economy under Pinochet is fraught with theoretical difficulties at best. In reality, the economic policies of Augusto Pinochet brought economic growth of a sort, but only for the privileged few in Chile. It is without a doubt that there was “economic growth” in Chile, a fact which the Wall Street Journal would use to lend credence to such a system of rabid free-market capitalism reinforced with brutal state repression. Yet one must ask, for whom was this growth felt? Who received the benefits of this system, and who was shut out? The evidence of the disastrous social effects of Pinochet’s ruthless neo-liberal reforms on the population of Chile is overwhelming. To begin with, Pinochet’s economic reforms were not chiefly responsible for Chile’s prosperity. In fact, Pinochet’s leftist predecessors laid the groundwork for the economic growth he oversaw. 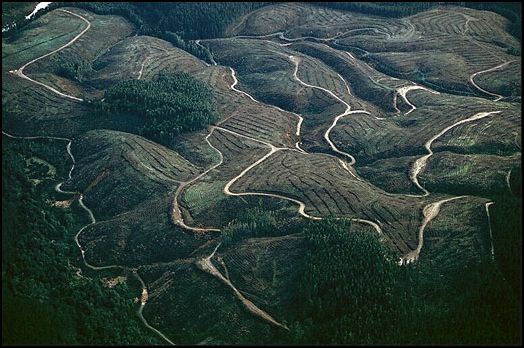 “Land reform of the 1960s and early ‘70s […] [allowed] the military regime to stimulate the creation of agroindustry as a base for an export-driven economy. Chile’s modernization really began around 1920 and had nothing to do with the Chicago Boys” (Muñoz 308). Rather than the moderate and progressive reforms and broad mass support of murdered President Salvador Allende, Pinochet’s government mostly depended on support from outside superpowers. “The U.S. made significant increases in international aid and loans to Chile [under Pinochet]” (Pettit, and Starbird 229). In addition, despite a trade and arms embargo during the Carter Administration, “[a]ll the while, U.S. commercial banks were loaning billions of dollars to Chile” (Pettit, and Starbird 229). United States support played a key role in stimulating the economy of the country. 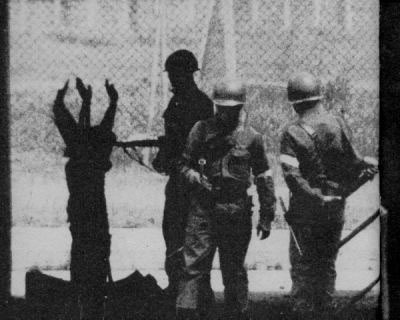 It is often claimed that Salvador Allende’s policies brought ruin, very high inflation and overall economic disaster on Chile’s economy before Augusto Pinochet’s 1973 coup. The story however, is not as one-sided as that. “His [Allende’s] political opponents, especially the wealthy ruling classes and the military [mostly loyal to Pinochet], worked to sabotage his programs. 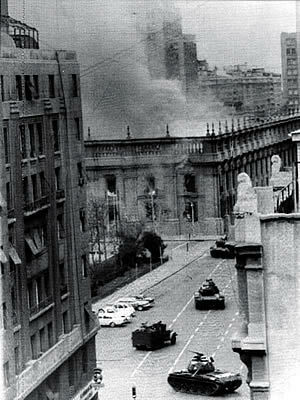 The United States provided money and tactical support for Allende’s opponents” (Porterfield, and Brezina 113). As a result of such admitted sabotage, inflation skyrocketed, production dropped and foreign investors fled the country as industry was nationalized. Throughout his reign, “Pinochet did not build a single hospital in all his years of power and the country’s infrastructure was left practically untouched until the return of democracy” (Muñoz 309). The results of Pinochet’s military regime and his refusal to deviate from the most perverse interpretation of laissez-faire capitalism may have created economic growth on paper, but for most Chileans, this “growth” meant little to them. 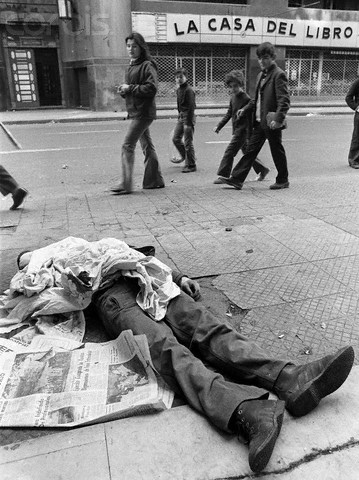 “In 1970, 20 percent of Chile’s population had lived under the poverty line; by 1990, when Pinochet left office, the poor had doubled to 40 percent. Average salaries during the Pinochet years were lower than in 1970 [before the coup]” (Muñoz 309). 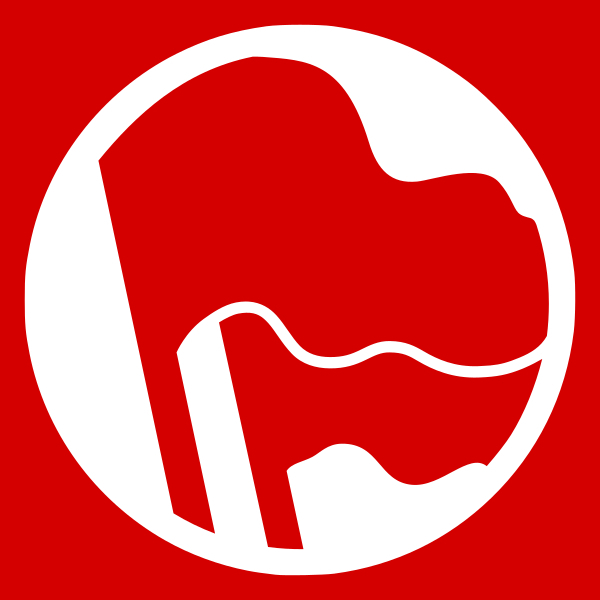 There is no evidence that Pinochet’s privatizations led to a booming economy, and much evidence that it, in fact, hindered the country’s development. 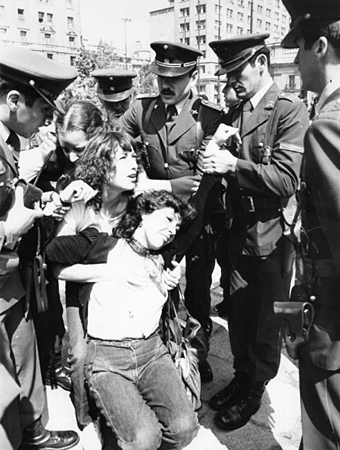 After Pinochet’s defeat, the economy of Chile began growing again, proving once again that his authoritarian fascist government did not encourage but held back the economy of Chile. After his exile, “[t]he real Chilean economic miracle truly occurred during the sixteen years following the return of democracy, when the economy grew 5.6 percent, almost doubling the growth rates of the previous three decades” (Muñoz 310). The editorial in the Wall Street Journal is incorrect when it claims that Chileans benefitted from Augusto Pinochet’s economic policies as well as when it claims that Chile was better prepared for the earthquake than Haiti because of its neo-liberal system. The Huffington Post reported, “Chile is wealthier and infinitely better prepared, with strict building codes, robust emergency response and a long history of handling seismic catastrophes. No living Haitian had experienced a quake at home when the […] disaster crumbled their poorly constructed buildings” (Bajak). The earthquake that struck Haiti was also fundamentally different than the one that struck Chile. Even though the Chilean earthquake was many times more powerful, the Chilean quake was “centered offshore an estimated 21 miles (34 kilometers) underground in a relatively unpopulated area” (Bajak). Meanwhile, the island of Haiti’s disaster quake “struck closer to the surface – about 8 miles (13 kilometers) – and right on the edge of Port-au-Prince, factors that increased its destructiveness” (Bajak). The neo-liberal policies of Augusto Pinochet’s dictatorship had little to nothing to do with Chile’s preparations for the earthquake, nor was a lack of free market policies the root cause of the massive destruction visited upon Haiti. 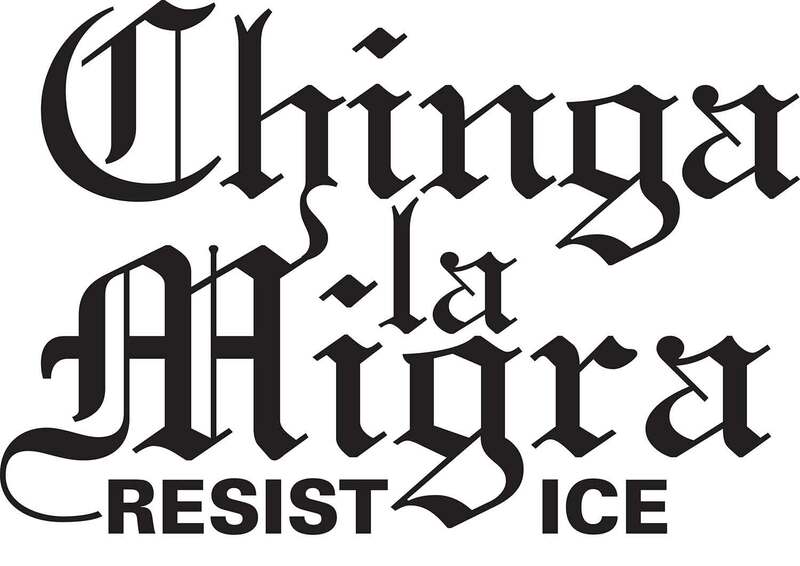 The editorial “A Tale of Two Quakes” in the Wall Street Journal is not only misleading, it is entirely inaccurate and in effect whitewashes a fascist dictatorship. The facts regarding Chile’s economy under the military government of Pinochet make the opposite case that the Wall Street Journal does. Bajak, Frank. “Chile-Haiti Earthquake Comparison: Chile Was More Prepared.” Huffington Post 27 Feb. 2010, Print. Muñoz, Heraldo. 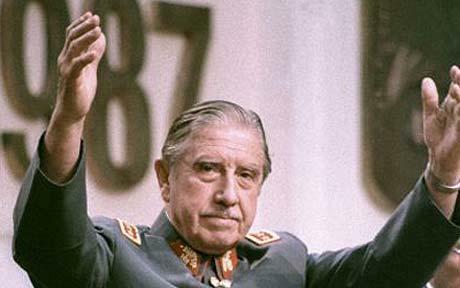 The Dictator’s Shadow: Life Under Augusto Pinochet. Basic Books, 2008. 308-310. Print. Observers, “A Tale of Two Quakes.” Wall Street Journal, 28 Feb. 2010, Print. Pettit, Jenny, and Caroline Starbird. Contemporary Issues in South America. Center for Teaching International Relations, 2004. 229. Print. Porterfield, Jason, and Corona Brezina. Chile: A Primary Source Cultural Guide. PowerPlus Books, 2003. 113. Print.